Children are a high priority at Gloria Dei! Sunday school starts at 10:30 am after fellowship/snack time. 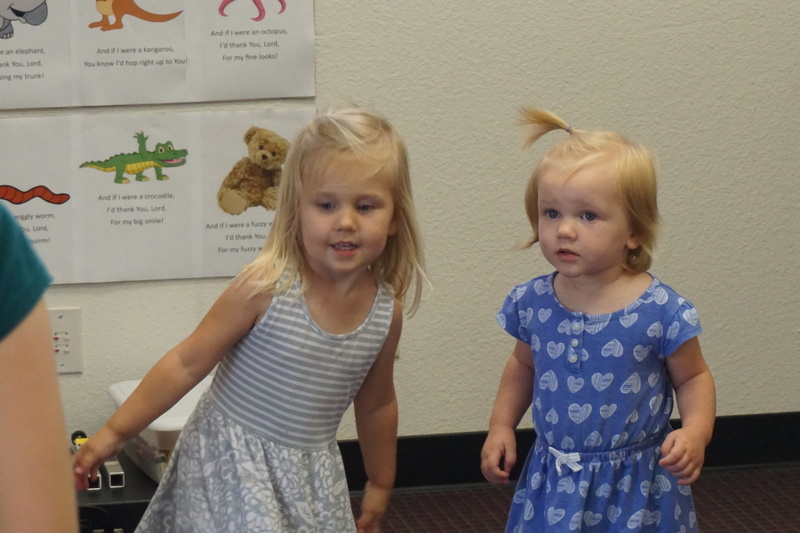 One of the Sunday school teachers will be happy to bring your child over to Sunday school in the Family Life Center, and you are welcome to come along as well. The children usually have 20-30 minutes of music time with our music director, Bonnie Rex, and then a Bible story and a craft with our teachers. Pastor teaches confirmation classes to youth (and adults) to teach them the faith and prepare them for coming to the Lord’s Supper. If you are interested in arranging confirmation classes for your child, please contact Pastor. Our youth group attended Higher Things, a Lutheran youth conference, in 2016 and 2017. After the conferences, we stopped in Zion National Park for some special hiking. Our youth group tries to plan for the youth to attend a conference every couple of years. In the meantime, we do fundraisers like bake sales, and we do other fun things throughout the year, such as trips to the beach, to the mall, to movies, game days, zip lining, hiking, and other social activities. Our youth are also highly involved with the younger children in Sunday school and in assisting with other church duties, such as acolyte for Holy Week services, singing, altar guild, work days, military luncheons, and other opportunities that come up. Gloria Dei is a multi-generational church, and we try to make sure that all the generations–from young to old–get plenty of opportunities to know, love, and serve each other in Christ. You are not going to find that we add on to the busy schedule that our children and youth already have by planning constant activities. What you are going to find at Gloria Dei is a spiritual nurturing of your whole child in Christ–most especially through the Word of God and then through loving fellowship with His people. We do this by making Sunday the center of the week and building out from there. More questions about children and youth at Gloria Dei? Contact us at office@gdlutheran.org or call us at 760-743-2478.